Designer Gazebos are the temporary facilities which are used to provide shade and a well enclosed region to sit and rest. 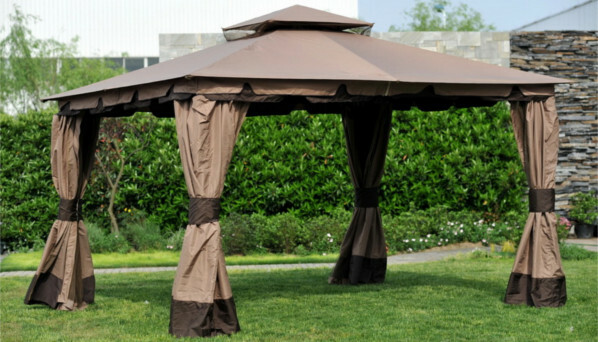 These gazebos are generally used for outdoor purposes to provide desirable shade in sun near beaches, swimming pools, in gardens and other such places. These gazebos are manufactured using one of the finest quality raw materials at our company which makes them long lasting and efficient. These gazebos are used and appreciated in several regions of the country and are also very much demanded.